Ok been thinking about this. Alot of people wonder what their cars actually are or what they did or did not come with. I am being specific about this year and model simply because I can find absolutely nothing other than parts books and servie manuals. Does anyone have information regarding what came standard and up grade options were for the 1956 Chrysler Imperials and Imperial Crown Royal. I never found the punch card in my car and that showes what it should have had put in right? I known the record player was an option. Was the foot controlled radio an option or standard? The thrunk mounted A/C I belive was a flat out option, but again I don't know. I do know my car, like everyone elses from that era had trim levels designated by old golf course names, I think. My Imperials trim level is the Southampton and it has the cute little crown royal badging, but doesn't really say what it is anywhere on the car. I know my car came with the new 3 spd push button later that year. Did they start putting them standard or did they continue putting in the 2spd? The gas heater. Some say it was a dealer installed option and others say the gas heaters were more commonly put in cars in the upper north east. If dealer installed did they pull out the heater core and block off water ports to put the thing in? My engine does not have any block offs to even connect heater hoses too. Kinda dumb but am wondering. Location: Lower Mainland BC I don't think the IBM cards were ever in the cars. 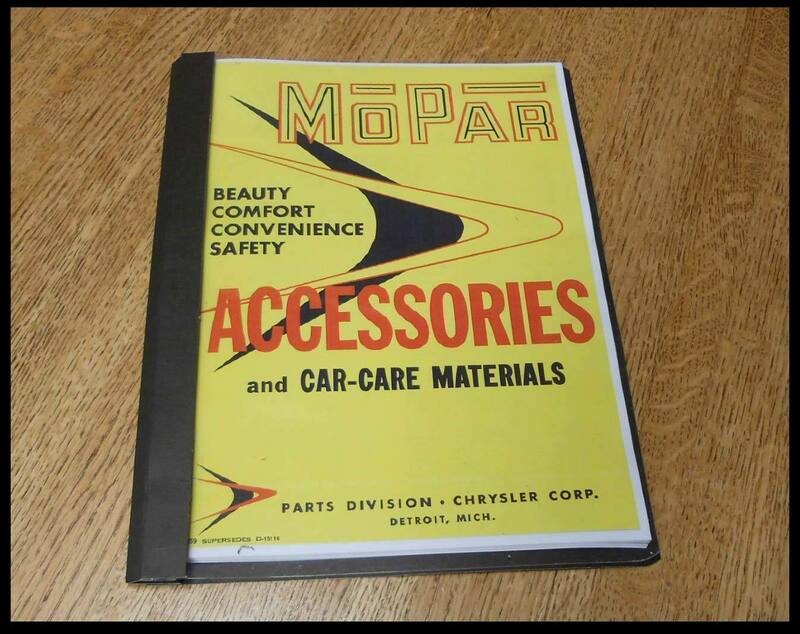 You can pay $$ and get a photocopy of the microfiche copy that Fiat Chrysler (FCA) historical might have. But it won't tell you much. 1955 and 1956 Imperials came in base series and LWB Crown (not Crown Royal - that you drink but not drive). For all cars of that era, air conditioning, Custom Conditionaire heater (hot water) or Instant Heat heater (gas), radios, the new for 1956 record player, white wall tires were all options, even on Imperials, although a heater was standard on the Crown Imperial. Power steering and brakes were standard on the Imperial models as was Powerflite automatic. Imperials also had back up lights, trunk light, glove box light, hand brake light, safety cushion instrument panel, windshield washers, rear door dome light switches, driver's door mirror, custom steering wheel and power front seat. Rear seat centre arm rest was standard on Imperials as the front centre arm rest on Imperial sedans. Music Master push button radio was standard on the Custom Imperial as was the rear seat speaker. The radio in your car, "Electro-Touch" with foot control, was optional. Crown Imperial models had Ausco-Lambert 4 wheel disc brakes as standard equipment. "Southampton" is Imperial-speak for hardtop and was used from 1956 through 1963. The 1955 models were "Newport" as were all Chrysler models. To my knowledge, "Southampton" never appeared on the car. Dodge hardtops were "Lancer", DeSoto "Sportsman", Pontiac "Catalina" (to 1958), Oldsmobile "Holiday", Buick "Riviera", Lincoln "Landau", Hudson "Hollywood", Nash "Country Club". It was the era of giving everything a name - your Imperial has Chrysler Safe-Guard Hydraulic Brakes, for example. Imperial had no name for the standard size Imperial in 1955-6 or the lowest priced Imperial series in 1957-58, but became the Custom for 1959-1963. 1957 also added an upper series, Crown, and then a top of the line, LeBaron. The three series offered sedans and Southamptons, although LeBarons offered only 4 door models. The Crown Imperial was the name Chrysler used for the LWB Imperials from 1940 through the Ghia era. The 1956 Crown Imperial was the last US-built Imperial LWB model, and not a stretched sedan. Starting for 1957 Ghia in Italy would take Imperial bodies and stretch them out into LWB sedans and limousines. As for your heater, whoever ordered your car back in 1956 ordered the gas heater. If the buyer did not order either the hot water or gas heater, the car would have been built with no heater. (No such thing has heater delete in 1956.) And if the buyer checked the gas heater, the engine compartment would look just like a car with no heater - no heater hoses. The IBM card was rarely left in the car. When they began used broadcast sheets you would find the sheets in cars. Easy to leave it under the carpets, under the door panels or trunk mat. You can get a copy of the IBM microfilm card for your car. They used to charge $45 but as they are unable to do the info list from the IBM card any more apparently, you can send them your car's make and serial number along with proof of ownership (registration) they will send you a copy of the card. Then you can post it on here and we can all help decode it. I don't think the IBM cards were ever in the cars. You can pay $$ and get a photocopy of the microfiche copy that Fiat Chrysler (FCA) historical might have. But it won't tell you much.